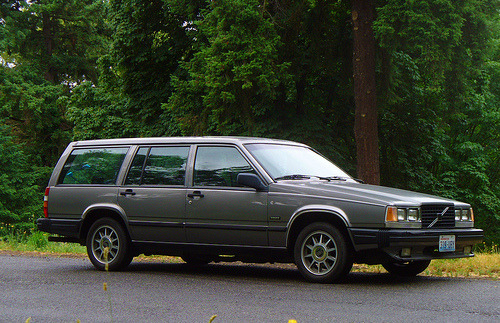 In the 1980s and 1990s Volvo Cars produced the 740, 760, 940 and 960 series. The 740/760 series were launched in 1982, followed by the 940 and 960 in 1990. The 740, which was designed by Jan Wilsgaard, was initially meant as replacement for the 240 model, but Volvo decided to continue production of the 240. The differences that were most visible between the 740 and the 940 series, were the more rounded angles of the body and the somewhat better organised interior. The 960 was revised radically from model year 1995. In 1993 the 940/960 series were ousted by the Volvo 850. The last 940/960 cars were sold in 1998. The chassis of the 740/940 series were also used for the production of ambulances and hearses. We always have a few modern Volvos in stock. We export Volvos all over the world. If you have something to offer, or if you are looking for something specific, then please contact us.